SALE OUT. 910-13IKB (80VF006XMH) dark grey, 13.9 " FHD Touchscreen, i7-7500U, 8 GB, 256 GB SSD, Intel HD, EN keyboard, W 910-13IKB dark grey, 13.9 ", IPS, Touchscreen, FHD, 1920 x 1080 pixels, Gloss, Intel Core i7, i7-7500U, 8 GB, SSD 256 GB, Intel HD, No, Windows 10 Home, 802.11ac, Bluetooth version 4.1, Keyboard language English, Keyboard backlit, REFURBISHED; USED; BENT CORPUS; SCRATCHED; WITHOUT ORIGINAL PACKAGING AND MANUALS. Kirjeldus SALE OUT. 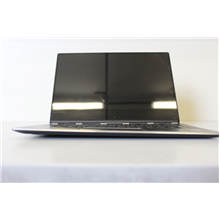 910-13IKB (80VF006XMH) dark grey, 13.9 " FHD Touchscreen, i7-7500U, 8 GB, 256 GB SSD, Intel HD, EN keyboard, W 910-13IKB dark grey, 13.9 ", IPS, Touchscreen, FHD, 1920 x 1080 pixels, Gloss, Intel Core i7, i7-7500U, 8 GB, SSD 256 GB, Intel HD, No, Windows 10 Home, 802.11ac, Bluetooth version 4.1, Keyboard language English, Keyboard backlit, REFURBISHED; USED; BENT CORPUS; SCRATCHED; WITHOUT ORIGINAL PACKAGING AND MANUALS.